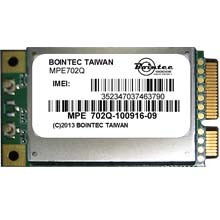 The MPE406-Q PCI Express Mini Card Module offers high data rate performance to end user, the truly global coverage to the carriers and widel embedding applications to the industry. The MPE406-Q module, powered by Qualcomm6290 MSM chipset, can support HSDPA data rate of up to 7.2Mbps in downlink and HSUPA data rate of up to 5.76Mbps in uplink. 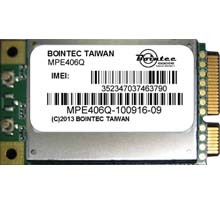 The MPE406-Q module is a perfect product to embed global connectivity with UMTS band combinations of 850, 1900, and 2100MHz and GSM bands of 850, 900, 1800, and 1900MHz into laptops/PDA/MID/eBook and other mobile devices.